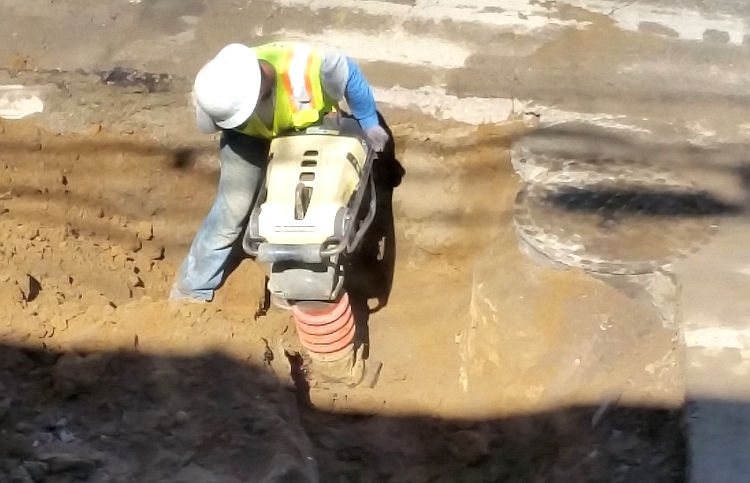 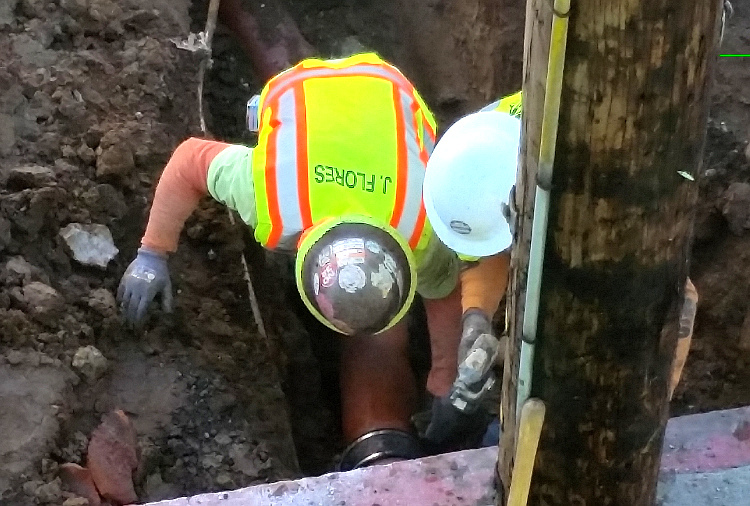 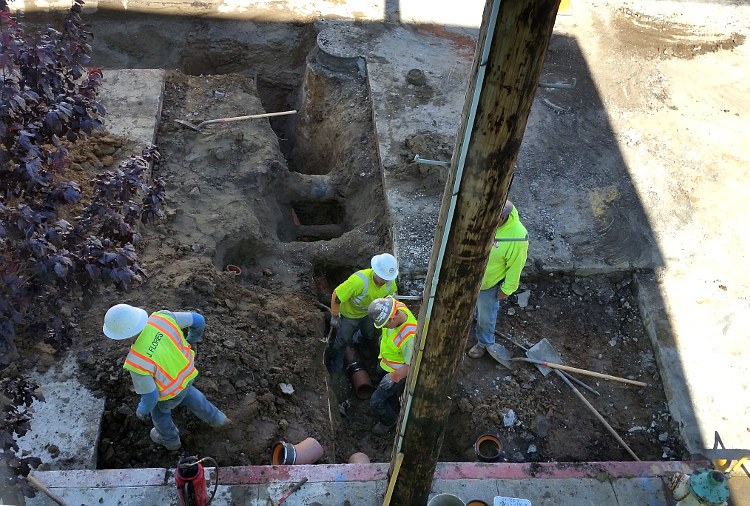 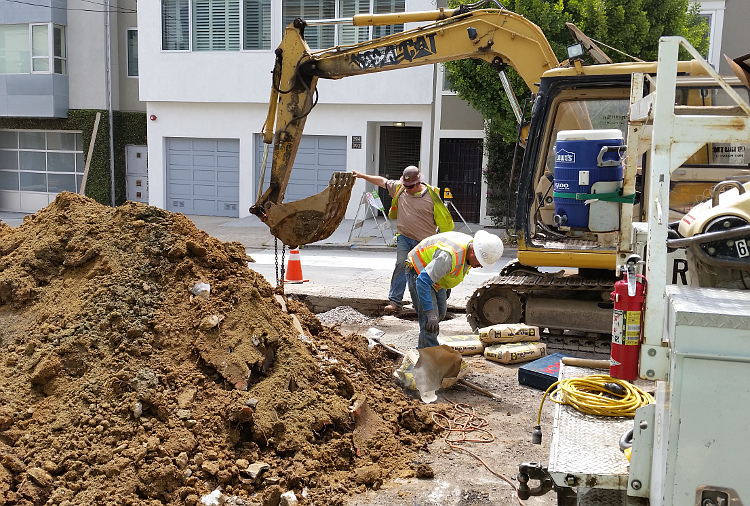 City construction crews installed new water and sewer pipes to our home between June 21 and 28. 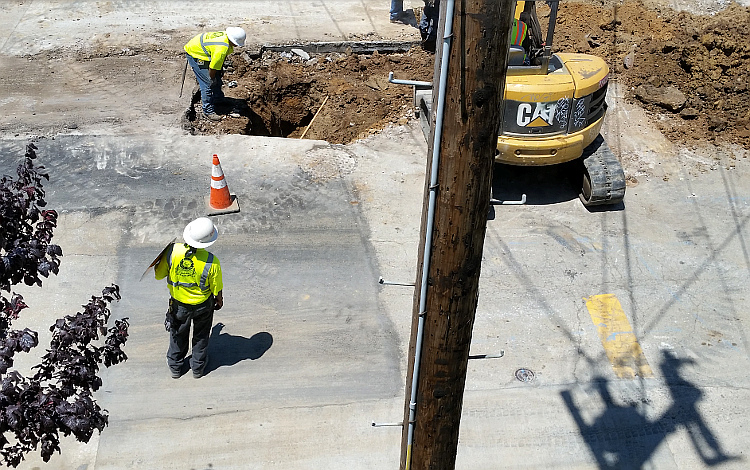 The street was a mess during construction, but they cleaned it up nicely when the job was complete. 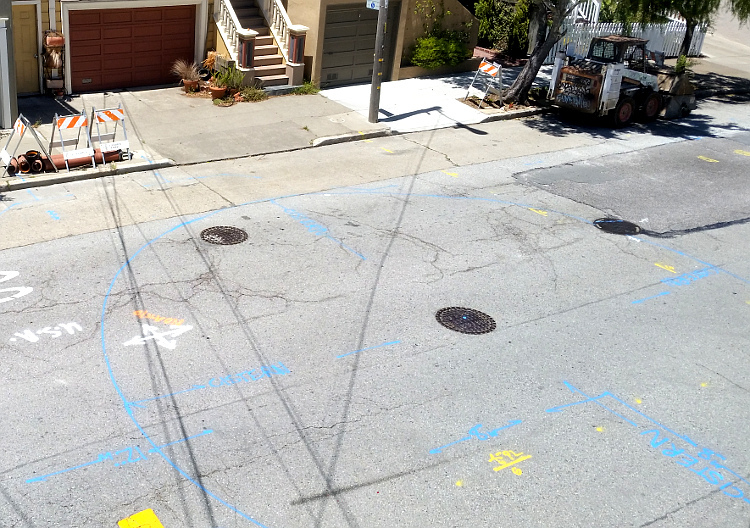 Before digging, the street was marked with paint. 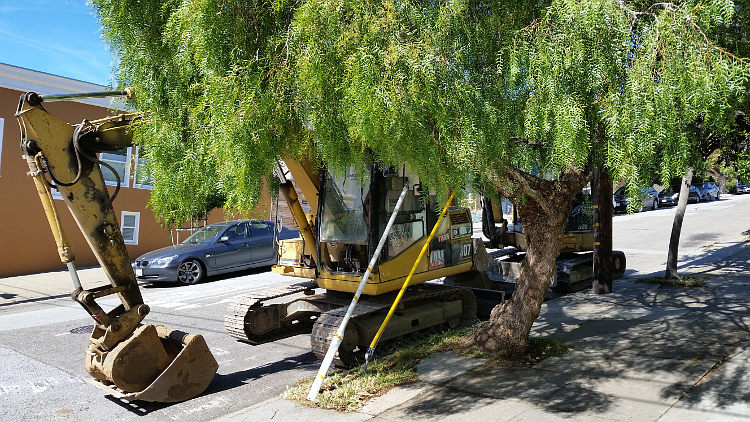 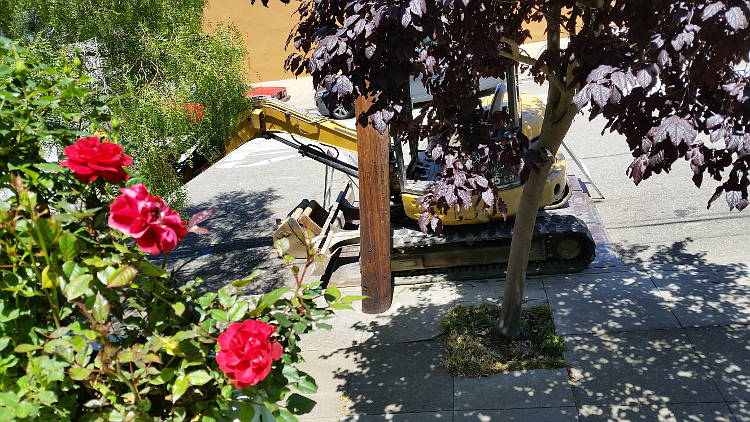 Heavy equipment was brought in and parked by the curb in front of our home. 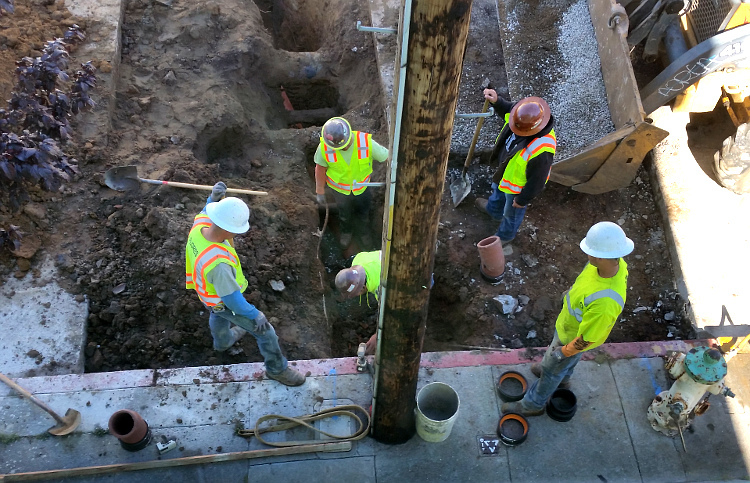 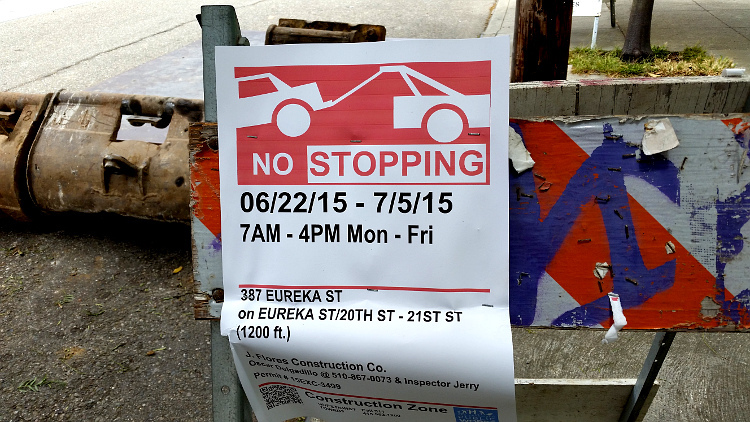 On June 21st they started digging. 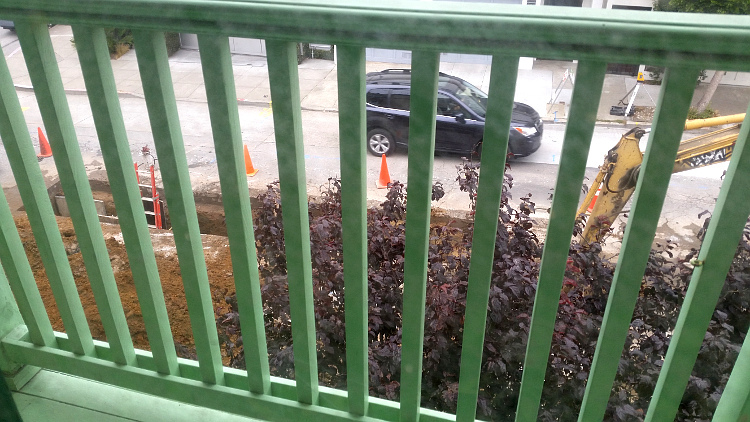 A deep narrow channel was dug into the street. 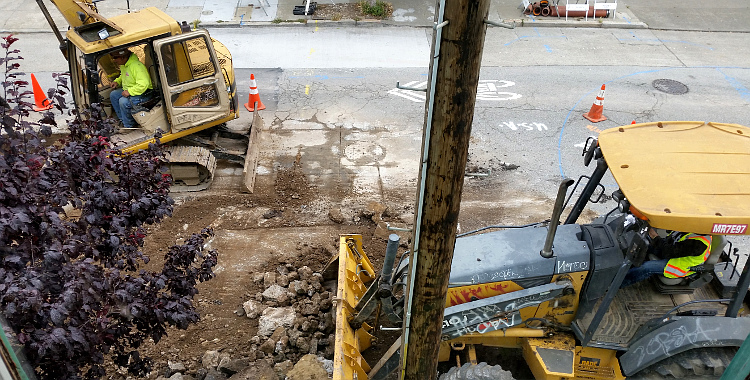 The channel containing our old pipes was dug up and the pipes were removed. 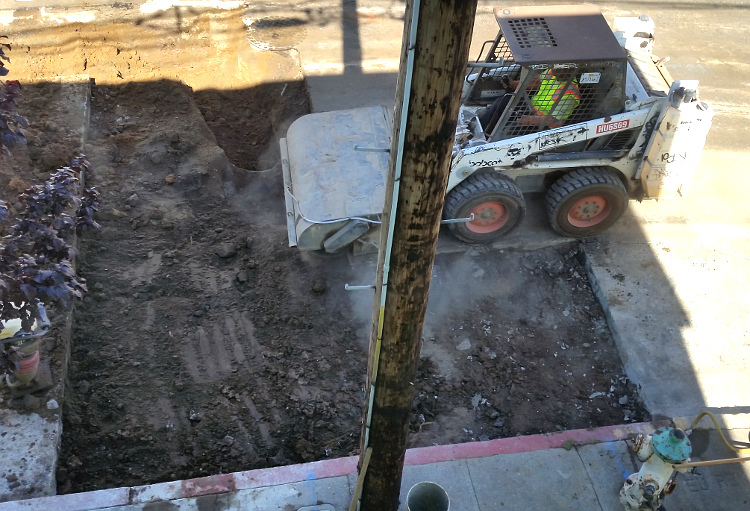 Dirt is dumped over the new pipes and tampered down. 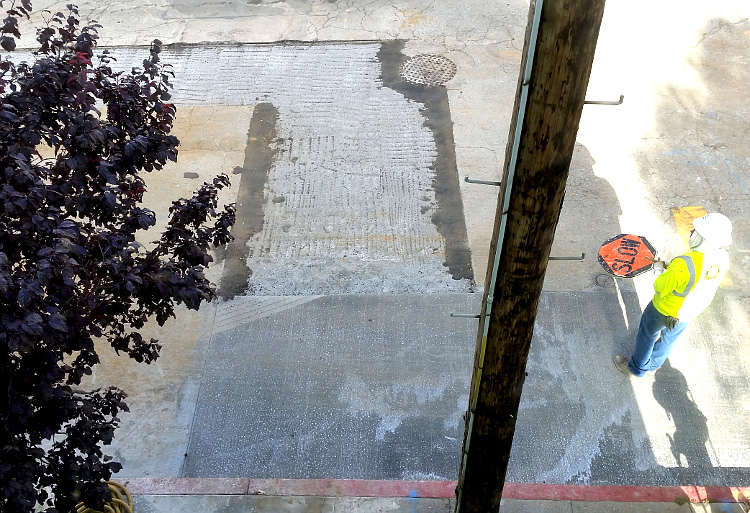 The street is cemented and later repaved. 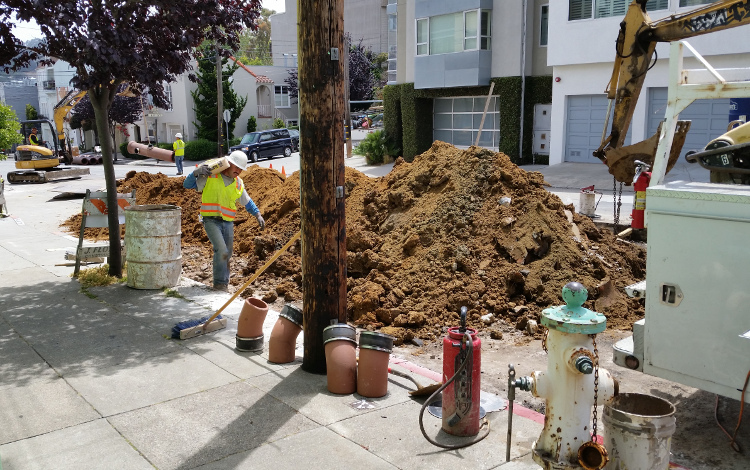 Working on our neighbor's pipes across the street.